Productivity on the go is the name of the game. Modern entrepreneurs certainly prefer to invest in devices that not just keep them productive but also exude style and facilitate convenience, especially whenever they are traveling or going to various work places. Tablets are more popular these days. But netbooks and laptops still don’t lose their popularity especially because those are still more functional and productive particularly when creating and retrieving documents, presentations, and important files. And yes, physical keyboards are still here to stay. That is why it is not surprising if hybrids or 2-in-1 devices that combine tablets and netbooks/laptops impress entrepreneurs. 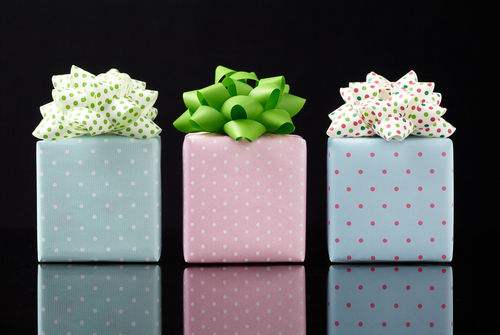 Here are four highly recommended and ideal gadgets that can be best gift ideas for businessmen who want to give their selves reasonable yet useful gifts that they can use for the New Year. Are you looking for a tablet that comes with all the benefits of using a full Windows PC? If you want to comfortably access Microsoft Office suite and to download desktop applications without resorting to a laptop or netbook, Acer Iconia W4 is for you. This device can facilitate usual desktop functions wherever you may go. This 8-inch Windows 8 tablet simply brags about its longer battery life, which can last for up to 8 hours, making it among the best options available in the market for entrepreneurs-on-the-go, who are looking for an 8-inch tablet. It may have a little weight in excess and is slightly thicker compared to other tablets, but its overall performance and memory capacity makes it compelling. Price: P14,900 with free Smart Bro Pocket WiFi if you purchase it at Asianic, Electroworld, Octagon, PC Express, PCWorx, Silicon Valley, and Villman stores nationwide. (Promo until December 31, 2014 only). There are reasons why 2-in-1 devices are popular among entrepreneurs. A tablet with a detachable keyboard dock brings about the typical laptop experience if the user wants to perform more tasks faster and more comfortably. If taken out from the dock, the user gets to use a tablet, which is more convenient for retrieving and reading files while on the go. Thus, Acer Aspire Switch 10 can be an ideal tool for modern entrepreneurs. Users of this device can work on any of four modes: the traditional notebook mode, tablet mode, tent mode, and display mode. Acer Aspire Switch 10 can be used in any way a user wants to use it. Almost all the ports and connections are located on the tablet; the keyboard has just one port. Memory storage is also sufficient and can even be supplemented using a micro SD card plus access to the cloud storage of Acer. Moreover, battery life is also long, lasting about 7 hours and 39 minutes—enough to carry on the typical workload in a day. Price: P17,900 with free Smart Bro Pocket WiFi if you purchase it at Asianic, Electroworld, Octagon, PC Express, PCWorx, Silicon Valley, and Villman stores nationwide. (Promo until December 31, 2014 only). 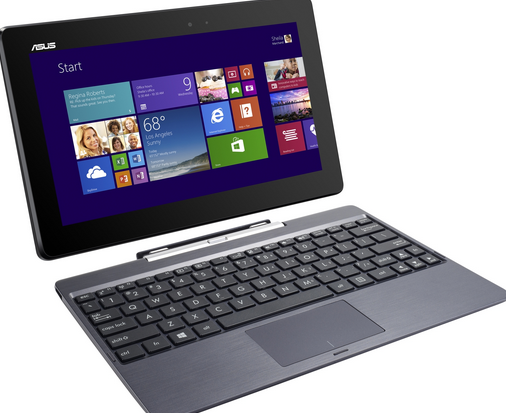 The Asus Transformer T100 is a crossover between a traditional netbook and a tablet. As a netbook, it comes with a handy 10-inch screen with a cramped but comfortable keyboard. 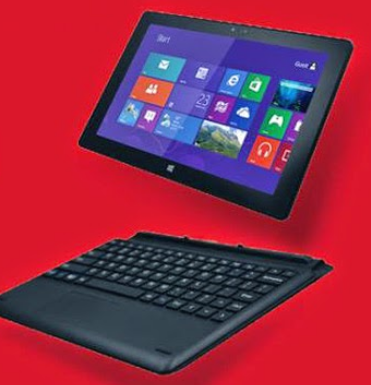 As a tablet, it can be detached from the keyboard dock to transform into a more modern-looking Windows 8 tablet. What makes it stand out from other similar 2-in-1 devices available in the market is its new Bay Trail Atom processor, which is responsible for its faster performance. Its storage can also be sufficient to carry out typical business requirements of entrepreneurs. Moreover, it comes with better battery life, making it a good PC for businessmen who frequently travel and attend important meetings. Price: P22,900 with free Brother Compact Monochrome Laser Printer if you purchase it at Asianic, Electroworld, Octagon, PC Express, PCWorx, Silicon Valley, and Villman stores nationwide. (Promo until December 31, 2014 only). Popular local brand Cherry Mobile recently unveiled its own 2-in-1 device for productivity on the go. Cherry Alpha Morp is a 10-inch tablet that can also function as any laptop through a detachable keyboard port. It is made for entrepreneurs who need a device they can use to create documents or reports and at the same time enjoy social media apps and play PC games during idle hours. This hybrid is equipped with a quad core Intel Atom processor and 2GB of RAM---sufficient to run Windows 8.1 smoothly as if you are using a full version of the operating system. Cherry Alpha Morp comes with free one-year subscription of Office 365 and access to 1TB of free cloud storage on OneDrive, making it both practical and useful at the same time. Price: P13,998 with P1,000 discount when you buy it along with Cherry Alpha Style, a 4-inch Windows Phone (running on Windows Phone 8.1) smartphone (worth P2,999 on regular price). You can purchase it at Asianic, Electroworld, Octagon, PC Express, PCWorx, Silicon Valley, and Villman stores nationwide. (Promo until December 31, 2014 only). To find out more about latest customer offers and how it can help you modernize your businesses with the latest technology, call +63 2 8590505 or follow this link.